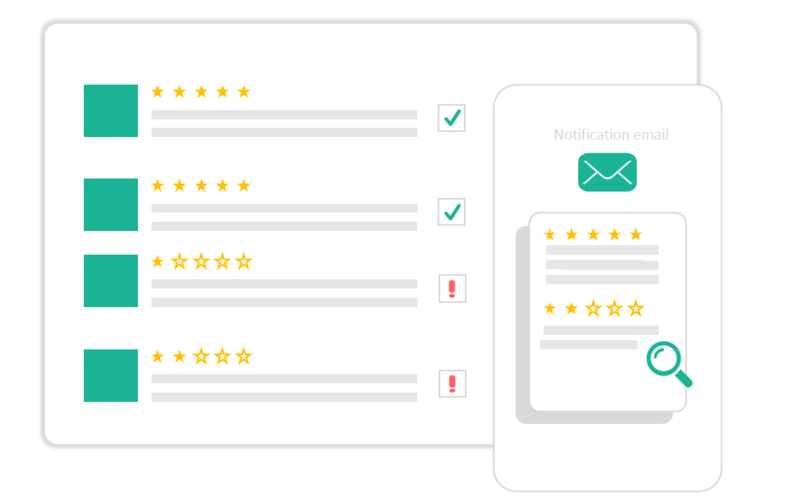 AMZFinder assists you in automatically sending feedback and review request emails, managing reviews and orders to improve your store’s credibility and customer ratings on Amazon proactively. 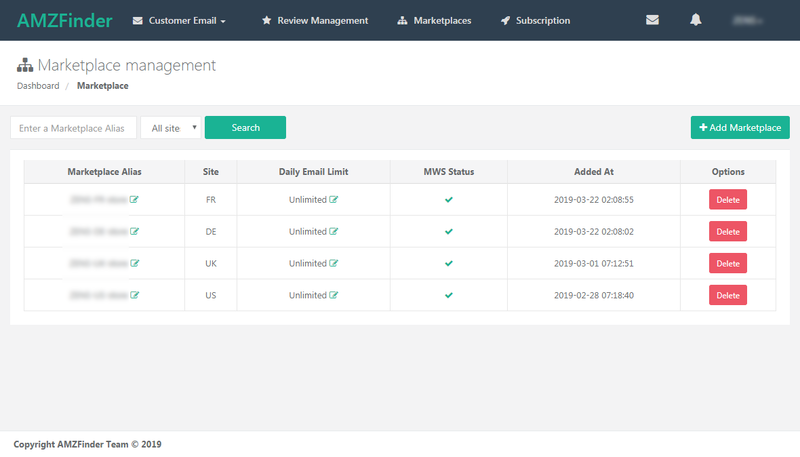 AMZFinder offers a variety of carefully designed email templates, customizable email templates, order filter settings, and a blacklist feature. 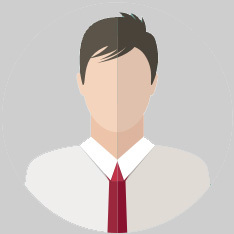 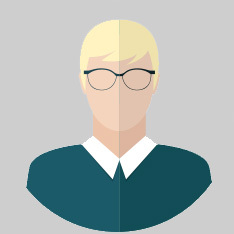 These features allow automated matching of suitable email templates to individual customers, which is ideal for enhancing your store’s customer service and customers’ shopping experience. 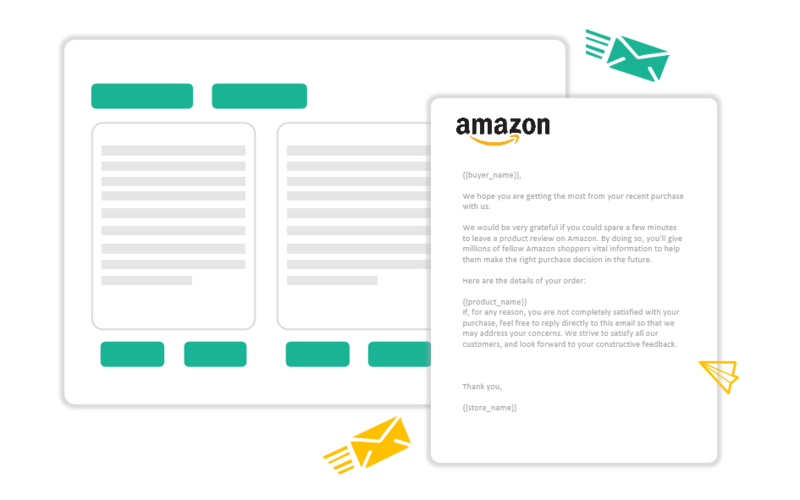 AMZFinder supports the importing of reviews and orders, allowing a time-saving overview of your entire Amazon store. 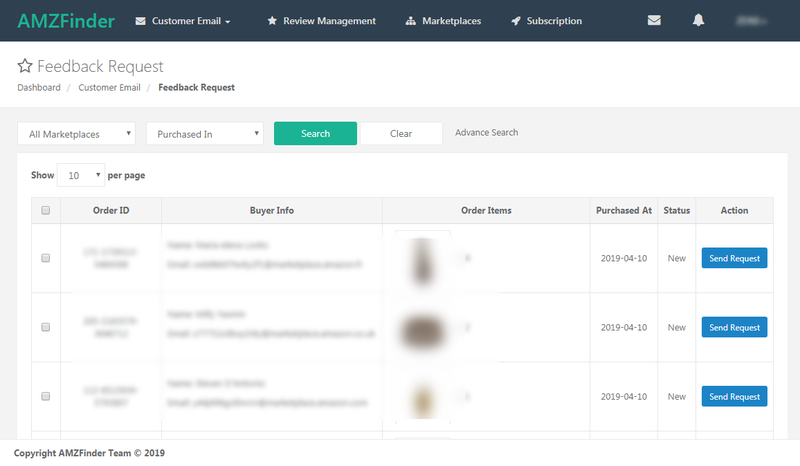 Email notifications of positive and negative reviews for all your store items are delivered automatically, thus enhancing the customer care responsiveness. 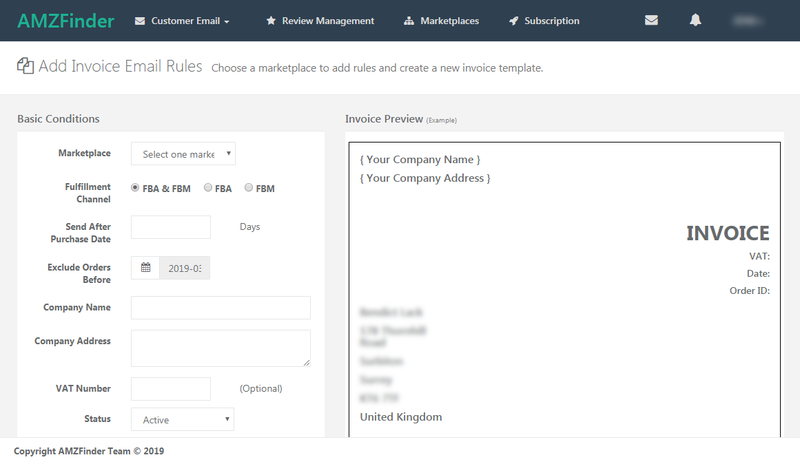 The invoice generator feature of AMZFinder not only allows the automatic entry of customer data like the address and order details to help you save time, but also sends invoices automatically based on customizable invoice rules. 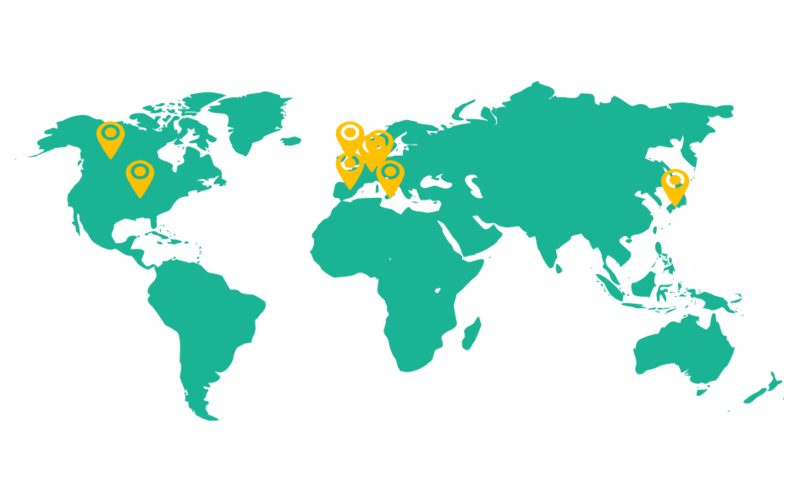 AMZFinder supports 8 Amazon marketplaces including North America (USA, Canada), Europe (United Kingdom, Germany, France, Italy, Spain), and Japan. 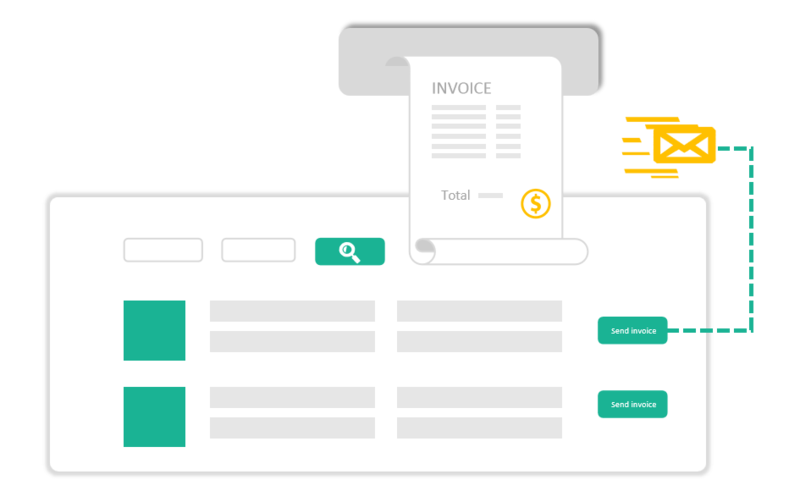 Multiple stores can be managed with a single AMZFinder account. 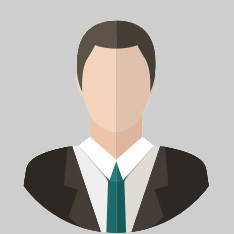 No additional fees for multiple marketplaces are required! 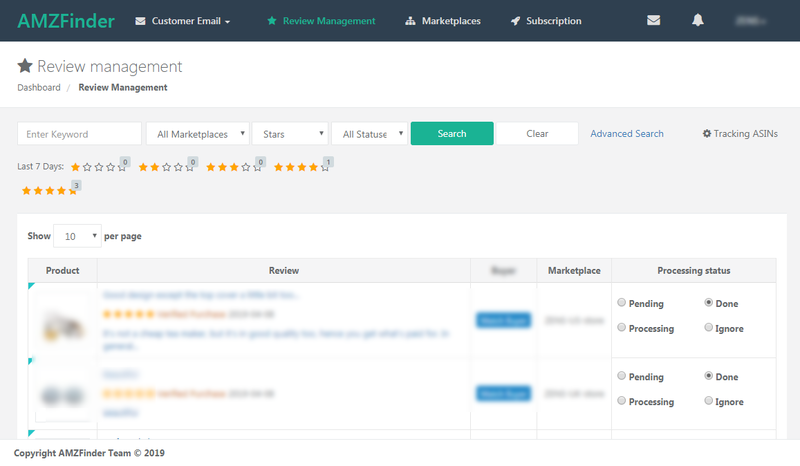 See our user friendly feedback request system, review management, invoice management and marketplace management features.